RCP North is a state-of-the-art training and education centre based in Liverpool that provides medical examinations, conference facilities, quality improvement and research for doctors and healthcare professionals alike. The development responds to the desire for more education and research in northern England, Scotland, north Wales and Northern Ireland, and upholds the RCP’s strategic vision to benefit members, fellows and partners in its commitment to improve patient care in the UK and internationally. 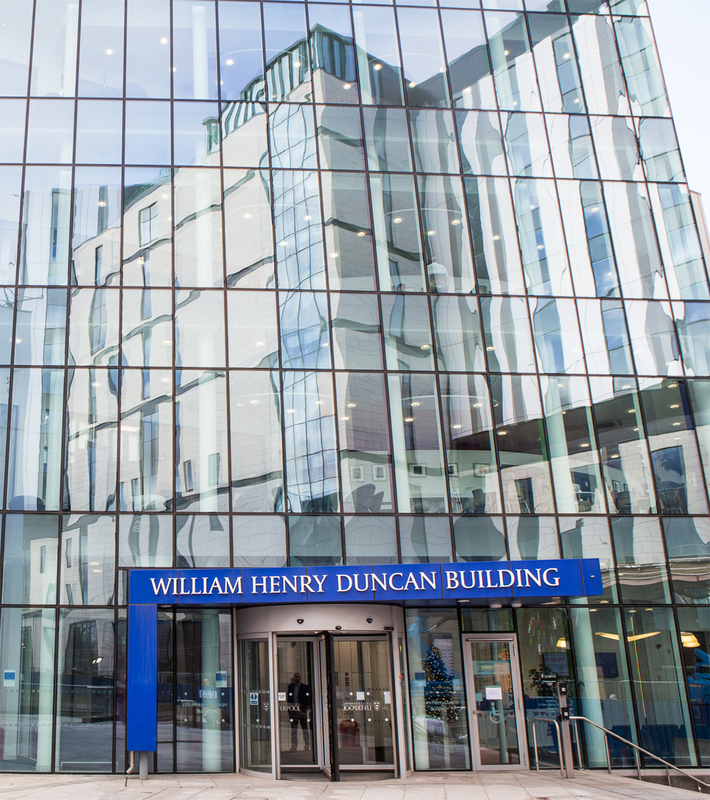 RCP North is housed on the second and third floors of the University of Liverpool’s William Henry Duncan Building (APEX Building), and is fully accessible to all users. There is an automatic door at the main entrance and lifts with access to each of the floors, as well as wheelchair-accessible toilets across the premises. We have disabled car parking spaces within the grounds of the building (please pre-book to guarantee your space). RCP North has a dedicated, purpose-built clinical examination suite with 12 examination rooms, an examiner briefing and breakout space, as well as a bespoke timing and monitoring system specifically designed for examination conditions. This space has the versatility to be used for all types of clinical examinations and medical training sessions. We have two large and four medium sized meeting rooms on the premises, able to accomodate anywhere from 16-60 people per session. All rooms are fitted with hearing loops. RCP North is home to the North Western and Mersey regional offices. We run an extensive programme of events, training and educational courses at RCP North. We have limited car parking spaces available for members and fellows, which are available to book in advance. The RCP welcomes your opinions. If you have any comments about our facilities at RCP North, or if you would like to receive this information in a different format, please email rcpnorthevents@rcplondon.ac.uk, or phone our team on +44 (0)151 794 9996.